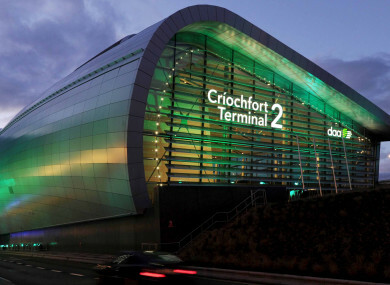 A CO WEXFORD man has pleaded guilty to assaulting two Dublin Airport workers who tackled him running after a plane on the tarmac at Terminal One after he missed his flight. Ryanair staff and airport police stopped drunk Patrick Kehoe after he stormed onto the apron in a bid to flag down a plane to Amsterdam. The passenger was late for his flight but got through the boarding gate and a door leading to the tarmac, close to the Ryanair plane at about 7am on 27 September last. Kehoe was restrained and held until gardaí arrived and brought him under arrest to Ballymun station. Patrick Kehoe (24), from Raheenaskeagh, Oulart, Co Wexford was originally charged with criminal damage to a magnetic door lock at Gate 106 at Dublin Airport. However, that charge was withdrawn today when he faced his fourth hearing at Dublin District Court. It was replaced with two counts of assaulting the Airport Police Service (APS) woman and a male aircraft ground handler who intervened as he ran after his flight which was getting ready to take off. Defence solicitor Peter Connolly told Judge Dermot Simms his client, who did not address the court, was pleading guilty. Kehoe made no reply when the new charges were put to him, said Garda David Cahill. Kehoe, who previously worked as a carpenter’s assistant, was at the airport with his girlfriend to go on holiday to Amsterdam, the court heard. Garda Cahill said when Kehoe got to his boarding gate it was closed but he proceeded out onto the apron of the airport and chased the aircraft. Grounder handlers were marshalling the plane which was taxiing onto the runway. The court heard he attacked one of them by “pushing him and tripping him back onto the ground”. The APS woman went to stop him but he kicked her causing her to suffer a swollen knee. The court heard he had one prior conviction for assault for which he was placed on probation for 12 months in 2013. Garda Cahill agreed with the defence solicitor that Kehoe was “a little bit intoxicated” at the time of the incident. “By his own admission, he had a few pints before the flight and that may have something to do with missing the boarding call,” he told the court. Connolly said his client was going to Amsterdam with his partner and he “had not been out of the country for many years”. Kehoe acted stupidly and impulsively, and did not have a bad record, his solicitor said in pleas for leniency. He had pleaded guilty without seeking disclosure of evidence, the court heard. The garda agreed the door Kehoe got out was normally secure and he had been apprehended in seconds. Connolly submitted that the plane and its passengers were not delayed by Kehoe’s foolishness, however, the garda countered, “I believe there was a knock on effect”. The accused sobered up after the incident and the garda conceded that Kehoe was no problem when he dealt with him. However, he added, that there had been “a significant amount of confrontation” during the incident. Connolly said his client had been Attention Deficit Hyperactivity Disorder and was taking medication. He was unemployed but had previously worked with a carpenter. Kehoe, who remains on bail, was apologetic, Connolly said. The solicitor explained his client had been drinking in a bar at the airport but on looking at his watch he realised he was late and went to the boarding gate. He overreacted and managed get out a door that would not necessarily have normally been available to him and got onto the apron, Connolly said. He very much regretted the incident and was willing to offer compensation to the victims. His partner had been supportive. Connolly asked the court to give Kehoe credit for his guilty pleas and that he had met the case as best he could. Judge Simms remarked that the case involved airport security but held that it was appropriate to adjourn sentencing to allow the defendant time to complete a restorative justice services programme. The case resumes on 25 April next. Kehoe stood silently throughout the hearing and did not have to give evidence. Legal aid was granted. Email “Man pleads guilty to assaulting two workers after running onto tarmac at Dublin Airport”. Feedback on “Man pleads guilty to assaulting two workers after running onto tarmac at Dublin Airport”.